The only slot game where it “Pays to Play Dead” made its public debut on September 24, 2013 at the G2E Expo in Las Vegas, Nevada. Thanks to leading games and systems supplier Aristocrat Technologies, zombies have begun taking over casinos across the country leaving casino operators and players hungry for more! 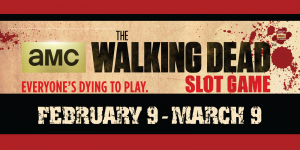 Based on AMC’s series of the same name, The Walking Dead ™ slot game gives players the ability to become completely immersed in zombie apocalypse thanks in part to Aristocrat’s iChair and VERVEhd™ technologies. While the iChair provides surround sound and rumble effects the real technology lies within the game’s VERVEhd™ cabinet! Named as one of the Top 20 Most Innovative products for 2009 by Casino Journal magazine, the cabinet has revolutionized gaming with its twin 21.5” high definition monitors, 31.5 portrait monitor, panoramic digital audio, Nteractiv™ programmable LCD buttons and sleek ergonomic design which provides gamers with a more comfortable experience. While the game’s bonus features can certainly provide a payoff for players, the real cash is in the game’s Grand Jackpot which starts out at $500,000. 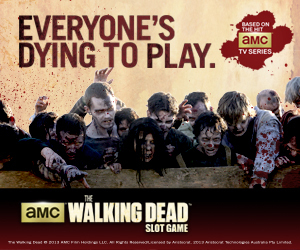 If the game’s incentives aren’t enough, the Island Resort & Casino is hosting its very own “Walking Dead” promotion! 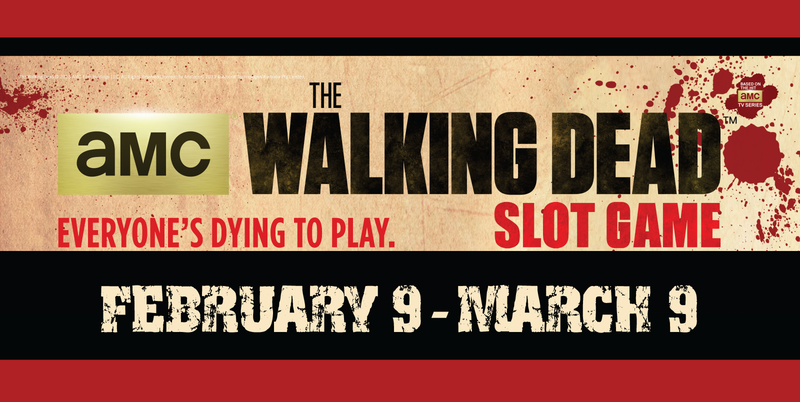 February 9th thru March 9th, play The Walking Dead ™ slot machines and be on the lookout for the Island Zombie Hunters. The Island Zombie Hunters will be giving away random prizes and kiosk visits including a chance to win $1,000 cash or other casino offers. Be sure to watch our Facebook, Twitter and Instagram pages for special Walking Dead™ promotions and giveaways! Licensed by Aristocrat. 2013 Aristocrat Technologies Australia Pty Limited. I’ve played this video slot game, and I really enjoyed it. I love the game I play at jack in Cincinnati it a fun game.